Kelvi Pro™ - Kelvi - Hypothermia Devices, Inc. Compact, precise, portable ... and did we mention no more ice? It’s the end of ice bags, ice baths, loading ice into therapy devices, and units that use mechanical refrigeration and circulate hot and cold water. 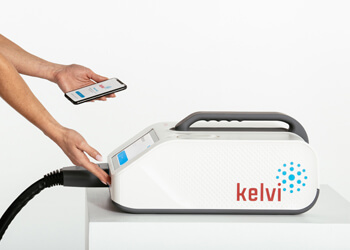 The patented Kelvi Pro™ is the the first cryo/thermotherapy device to bring a totally new approach to the training room, with fully electronic, all-digital heating and cooling in an Internet-connected device. 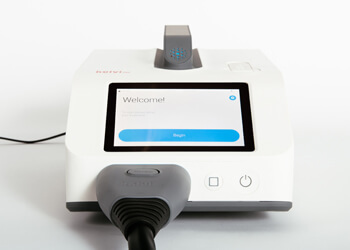 Makes treatment protocols customizable, programmable, user-selectable, repeatable and measurable.